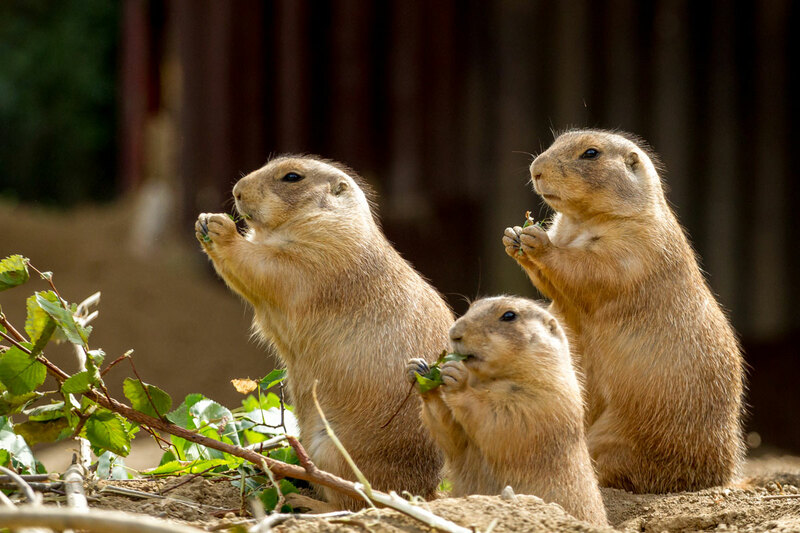 Prairie dogs are extremely social. They dig interconnected tunnel systems that serve as homes for the entire community, called towns. When looking for prairie dogs, you'll find them in dry open sites across the eastern two-thirds of Montana. They are easy to spot because they're often standing straight at attention like miniature guards.